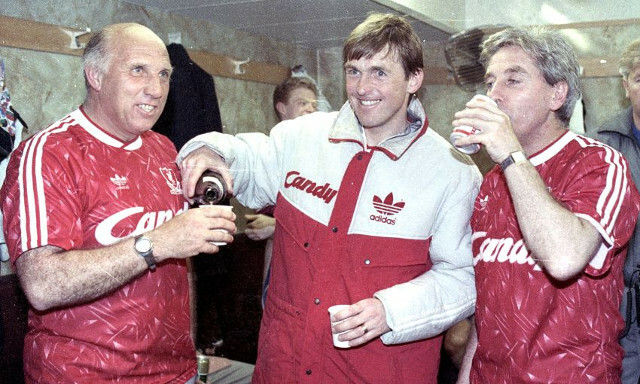 Anfield great Kenny Dalglish has paid a special tribute to fellow Liverpool legend Ronnie Moran who sadly passed away this morning. The Scot arrived at the club in 1977 and played under the guidance of Moran, who was a coach under Bob Paisley at the time, before taking over as manager himself in 1985. Dalglish has praised Moran as the foundation to Liverpool’s long-lasting success and for the 49 years in which he devoted himself to the Reds. Moran, hailed as Mr Liverpool, will be remembered as one of the true greats and a man who helped shape what this club stands for. The extent of the tributes in his name demonstrate how highly respected he was and just how special he was to those he played with, those he coached and even those who simply spoke to him. Almost five decades at the club saw him work in practically every role available as well as earn 13 Division One championships, four European Cups, two UEFA Cups, five FA Cups and 5 League Cups.